There’s a gold mine of opportunity just waiting to be tapped into… And it’s sitting in your own backyard! You have online marketing skills that business owners in your neighborhood desperately want and need. Some of the things that you consider ridiculously easy – like setting up a blog – completely befuddles these offline business owners. They want a web presence, and they want to generate leads online, but they have no idea where to start. You know a bit a about setting up websites, optimizing them for the search engines and generating leads using content marketing. And even if there are certain tasks you can’t do yourself (like designing a site), you certainly know how to outsource them. Point is, offline business owners are willing and able to pay top dollar for you to use your skills and/or outsourced talent to get their sites up and running. I just came across one of the most thorough, hold-you-by-the-hand courses on offline marketing that I’ve ever come across: this course shows you exactly how to build mini-sites for offline businesses and either sell your leads, or sell your sites… for a BIG amount of money. The entire process takes less than 3 days and the ROI for your time is HUGE. Check it out now – it’s only available until Friday morning 9 a.m. EST! 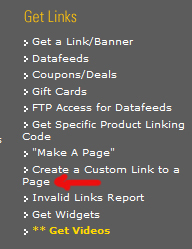 A few days ago I wrote a post about How to Create a Link to a Specific Page With Share-a-Sale. Today let’s see how we can deep link for CJ merchants. 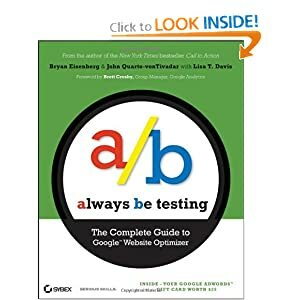 A deep link is a link made to a specific product. Most merchants selling products have deep linking set up already. You’ll see a “View Products” link as shown below. If you can only see “View Links,” deep linking is not set up for that specific merchant. 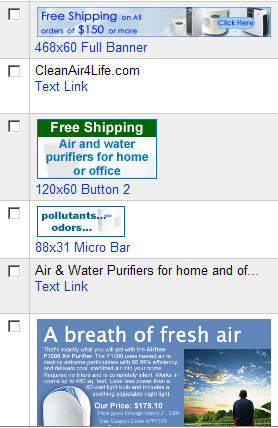 Let’s say I wanted to create a link to “Biozone 1000 Pure Home and Office Air Purifier” (a product on CJ) . I’d click on “View Links” (shown below). 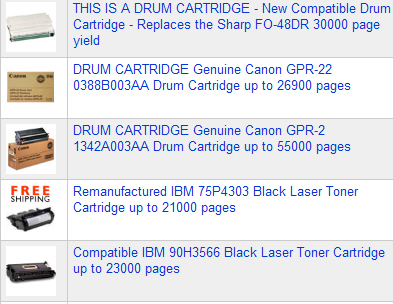 On the next page, I can see the offers from this particular merchant in the form of image links, as well as text links. On the right side of the above page, you’ll see the option to get Java or HTML links. For deep linking, we use HTML. Click on “Get HTML”. Fill out the necessary information here. First, pick the site you are creating your link for. 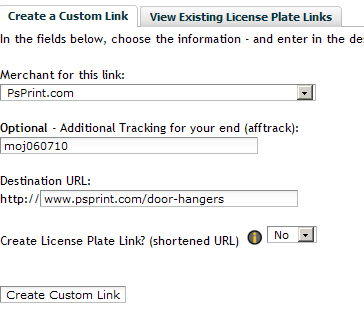 In the SID field, you can create a tracking code so you know where your sales are coming from. 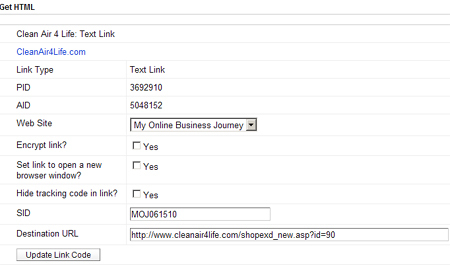 In the destination URL field, paste the link to the specific product page. Lastly, click the “Update Link Code”. Next, look under the “Update Link Code” and you’ll find your code. Click on “Highlight Code”, then copy and paste it into your page. If you look carefully at the code below, you’ll see that the text of the link is “CleanAir4Life.com.” Change it to your product name: in this case, “Biozone 1000 Pure Home and Office Air Purifier “. That’s all. Questions? Feel free to ask. I am sure you know that when adding links/images to your affiliate sites, deep linking is by far the most profitable to link. Just think about it: let’s say I am writing a post about marketing with door hangers, and I want to offer some resources to my readers. So, I go to SAS and find a program that is doing great! I picked the company I am creating the link for from the drop down menu, I added specific tracking for this link (I added the initials of this blog and the date), and then entered my destination URL. Make sure you remove http:// from the form, as it’s automatically added for you, and your link will be broken if you leave it there. All you have to do now it copy and paste your link into your post. Check out this link to door hangers to see where it will take you. Do you have any questions? Please ask below.